The book of Job is the most challenging--and most engaging--of all the books in the Hebrew Scriptures. It challenges one's faith in the essential goodness of God and humanity. In this volume, Rabbis Kravitz and Olitzky provide an original, modern translation and commentary while also inviting classic rabbinic commentators of the past to provide insight to the text. Along with helping the reader to understand the original Hebrew sources, the authors also strive to answer some of the basic answers of human existence posed by religion: Why is there evil? Why do the good suffer? Why do those who do evil seem to go unpunished? Are acts of goodness rewarded? ""The Book of Job confronts essential questions of being human: loss and grief, good and evil, and how human beings overcome life's significant challenges. This wise and beautiful book guides the reader through its intricacies, pausing along the way to teach profound lessons both loftily academic and deeply personal. It is a rare and lovely gift to bring ancient traditions to new life in such deeply meaningful and contemporary ways."" 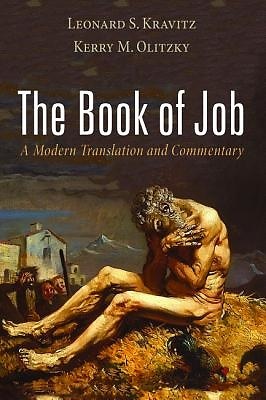 --Aaron Panken, President, Hebrew Union College-Jewish Institute of Religion ""This is a remarkably accessible translation and commentary of the storied book of Job that has intrigued numerous generations of readers. Blending solid scholarship with insightful contemporary insights, this book is a must-have for anyone who is serious about their faith or just wants to learn more about the biblical notion of reward and punishment."" --Kirk Smith, Episcopal Bishop of Arizona Leonard S. Kravitz is professor emeritus of midrash and homiletics at Hebrew Union College-Jewish Institute of Religion (HUC-JIR). He is an expert on the medieval philosopher/theologian Moses Maimonides and his Guide for the Perplexed. Kerry M. Olitzky is formerly executive director of Big Tent Judaism and was on the faculty and administration of HUC-JIR. He is the author of numerous books that bring insight and inspiration of Jewish wisdom into everyday living.